In our experience, 25-30% of the horsepower on line in most systems is due to unnecessarily high system pressure. Therefore, if we identify and correct the applications that are driving the requirement for higher system pressure, we can turn off compressors. This is not to say that there aren’t problems and opportunities in the compressor room, but the production department’s requirements for pressure will normally out weigh any available compressor control refinements. The key benefit which must be communicated to production is that the application will no longer be sensitive to system pressure. It becomes more reliable and repetitive, which increases quality and productivity. The simplest way to determine which applications are driving the system pressure is to ask the compressor operators which applications are the most sensitive to pressure fluctuations. The compressor operators usually receive a phone call from production personnel if an compressed air application is not performing correctly. Talking to the production personnel who call identifies the application which is not performing reliably. Unfortunately, the phone call often generates an adjustment in the compressor operating arrangement or pressure until the application performs acceptably. This is a minimum acceptable standards approach which does not look at the process to determine what may have changed. Instead, it compensates for all problems with increased system pressure. For example, if a filter clogs up or a leak occurs at the point of use on a critical application, higher pressure for the entire system will be required to provide the same pressure to the application. Therefore, the pressure required is determined by the cumulative delta pressures in the system added to the actual pressure required at the inlet to the device – called the article pressure. Diagram #1 depicts an actual system pressure profile and is typical of most systems we audit. When a profile is presented in this manner it is easier to determine where the greatest pressure losses are located and how to improve the performance of an application. There are two ways to increase the pressure at the article on this application. We can raise the system’s pressure, or we can decrease the pressure losses between the compressors and the article pressure. Raising the system pressure is the easiest but most expensive solution in terms of operating costs. But, since most organizations do not track the cost of compressed air, the additional costs are lost in the general budget and are not associated with the decision to raise pressure. The rule of thumb is that every increase of one psi in systems pressure increases the required on line compressor horsepower by 0.5%. So, if one operates a 500 hp system and raises the header pressure by 10 psi to overcome a problem with an application, an increase of 5% or 25 hp is expected. The alternative approach is to analyze the pressure losses and then, wherever feasible, to reduce the losses between the compressors and the article pressure of the critical application. In the system pressure profile shown in the diagram, there is more than 30 psi of pressure loss from the header pressure to the reliable article pressure. A portion of this loss is attributable to inadequate capacitance and was addressed in detail in an article published in the January 1997 issue of AFE Facilities Engineering journal – Six Ways to Use Storage to Control Compressed Air Costs. Here, we will examine the other obvious opportunity which is the pressure loss created by the point of use components- the filter, regulator, lubricator (FRL), and hoses. 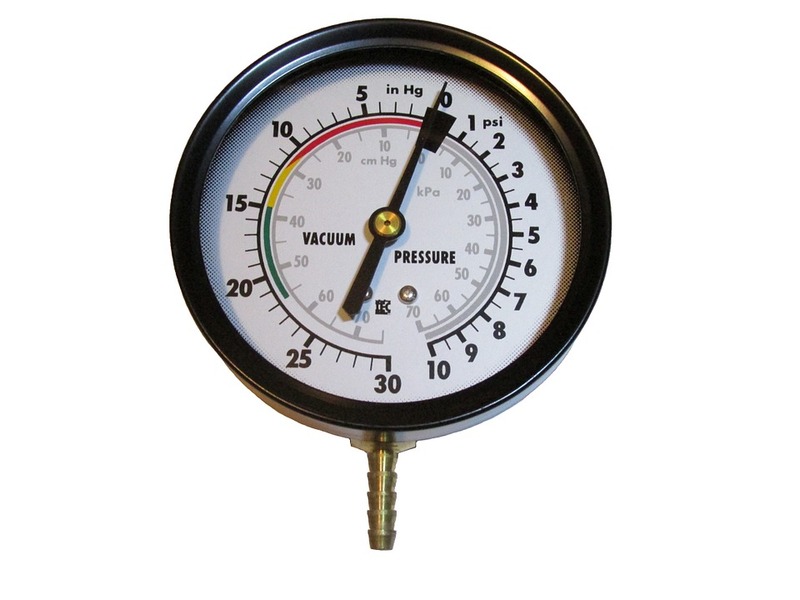 In the sample profile, the pressure loss due to these components is shown as 15 psi (90 to 75 psig) but it is often as high as 25-30 psi. This is true frictional loss due to the resistance to flow and is therefore dependent upon the pressure, temperature, and rate of flow of the application. But these components are normally sized to match the connecting pipe size and are not selected based on the acceptable pressure loss. For example, at 90 psig and 40 scfm, a standard 1/2″ FRL causes more than 18 psi of pressure loss. On an application that determines the operating pressure of the system, a different approach is warranted. Higher quality components are available in the same nominal size with lower designed deltas. Or, standard components can be oversized by one or two nominal sizes to achieve a similar result. (Over sizing FRL components can increase hysteresis which may lead to other problems in intermittent or critical applications, see referenced article on storage). Designing a total point of use component pressure loss of <6 psid, which allows for filter dirt loading to increase the delta to 10 psid, is recommended. It is critical to remember that this analysis must be based on rate of flow not the average consumption. Rate of flow is the volume required in a specific period of time corrected to scfm. For instance, if a device uses four standard cubic feet in six seconds once a minute, the average consumption would be four scfm and one could improperly install 1/2″ components expecting minimal pressure loss. But the rate of flow in this example, is calculated as (4 scf x 60 secs / 6 secs = 40 scfm) and will generate the >18 psi pressure loss discussed above. To obtain this rate of flow from a manufacturer of pneumatic equipment, one must ask very specific questions because they will always quote the average rate of consumption not the highest rate of flow at any specific time.